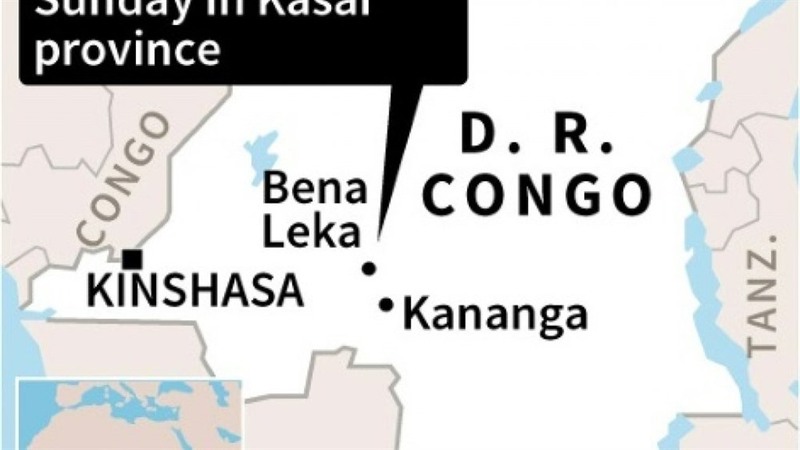 KINSHASA — At least 24 people were killed and 31 injured on Sunday when a freight train carrying stowaways derailed in the Democratic Republic of Congo, police and medical services said. "We have retrieved 24 bodies, mostly children. It is a provisional toll because the wagons are still overturned," a railway police official in Bena Leka, 140 kilometres (90 miles) north of Kananga, one of the main towns in Kasai, said. Serious casualties were taken to the hospital in nearby Kakenge. "We are overwhelmed by the number of injured. We are working urgently. We have already admitted 31 injured," said doctor Jean Claude Tshimanga of Kakenge hospital.